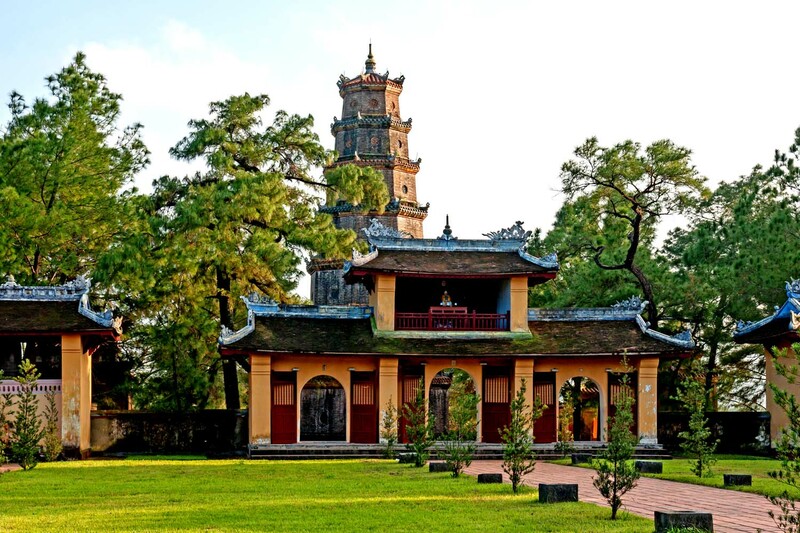 Built in 1601 between a river and a pine forest, the Thien Mu Pagoda ("Heavenly Lady Pagoda") in Hue is one of the oldest and prettiest religious buildings in the country. 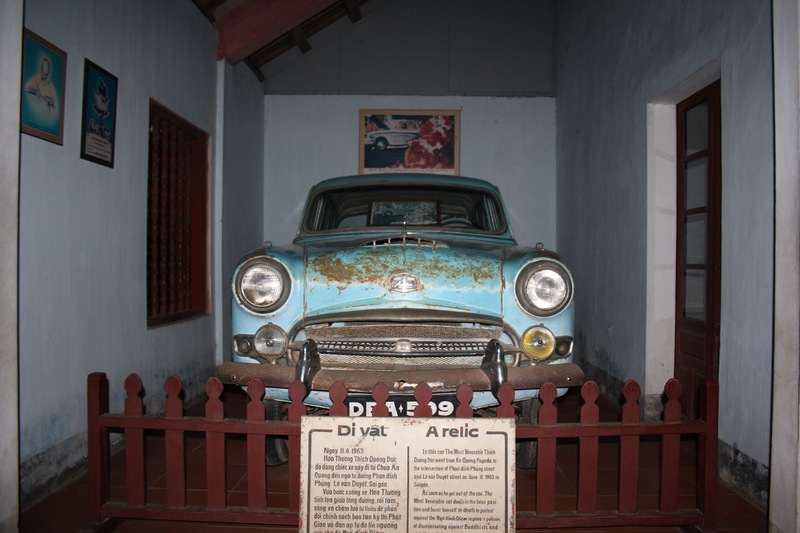 Among the many interesting artifacts housed at the complex is the car that took the monk Thich Quang Duc to his self-immolation in 1963 Saigon. 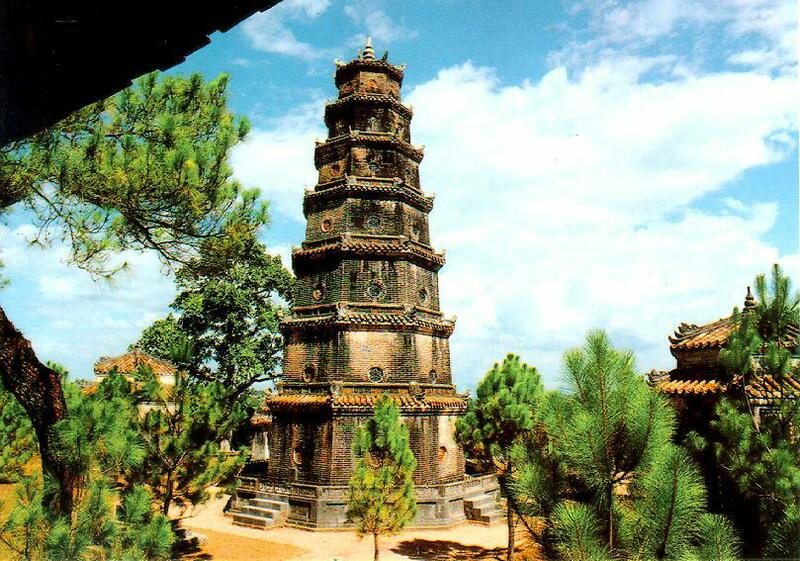 There are many legends about Thien Mu Pagoda (also known as Linh Mu Pagoda). Once upon a time, local residents saw an old lady in red appear every night on top of the hill. She foretold that: one day, the Lord would pass by and build something of great importance. From then on, the hill was named Thien Mu Son (Mountain of Lady from Heaven). 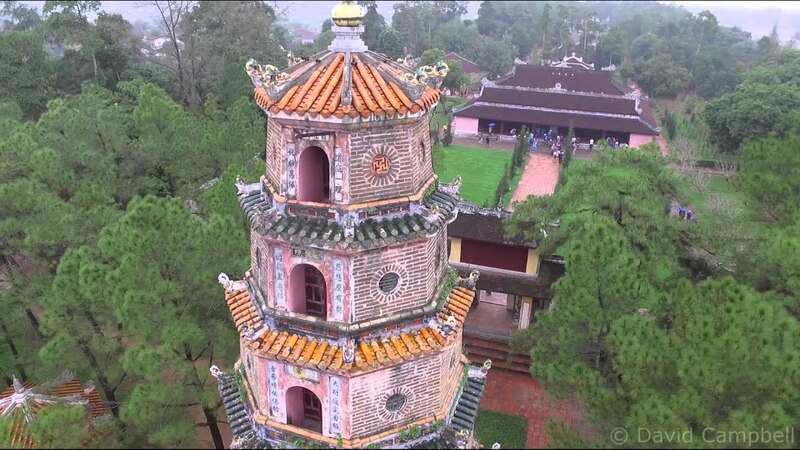 When Lord Nguyen Hoang actually went pass the hill, he heard the legend and decided to build a pagoda and named it Thien Mu. Having gone through a lot of eventful phase, damages as well as renovations, today the pagoda still exists and remains the unofficial symbol of the ancient city Hue. Coming to this prestigious sightseeing, visitors can enjoy both the scenery landscape and the typical traditional architecture of Hue pagodas. Thanks to its high position upward a charming curve of Perfume River, the pagoda offers a mind-boggling view of both the flow and the surrounding areas. Covered with pine trees, bonsai and delicate manmade pond, this religious site brings about a peaceful feeling which is hard to find anywhere else. 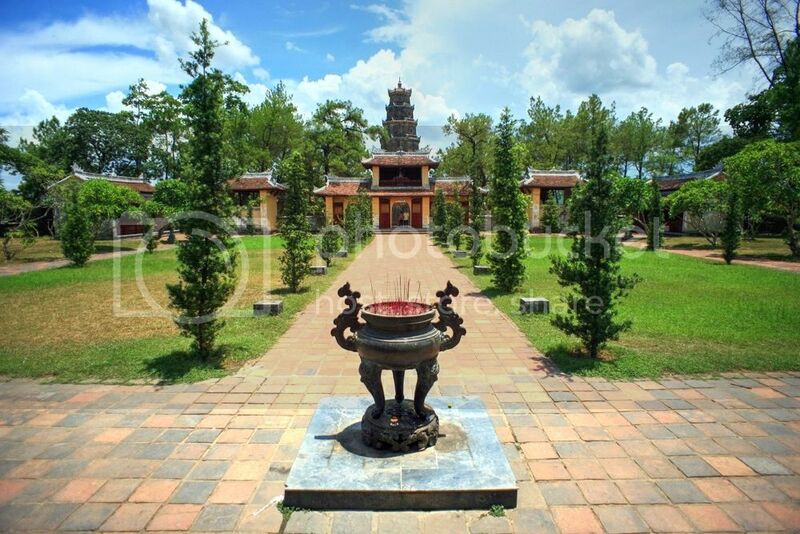 Thien Mu Pagoda is about 4km from Hue City Center, thus you can get here by: motorbike, bike, as well as boat. A boat trip can also include visiting Hon Chen Temple and Minh Mang Tomb. A bike-trip is recommended, since the road is very scenic and rather short. Travellers can also combine a trip to Thien Mu Pagoda with Hue Temple of Literature and Huyen Khong Pagoda, which are just a few km away. One remind for those who are fond of bike: a perfect ride should be in early morning or late afternoon to avoid the heat of Hue.